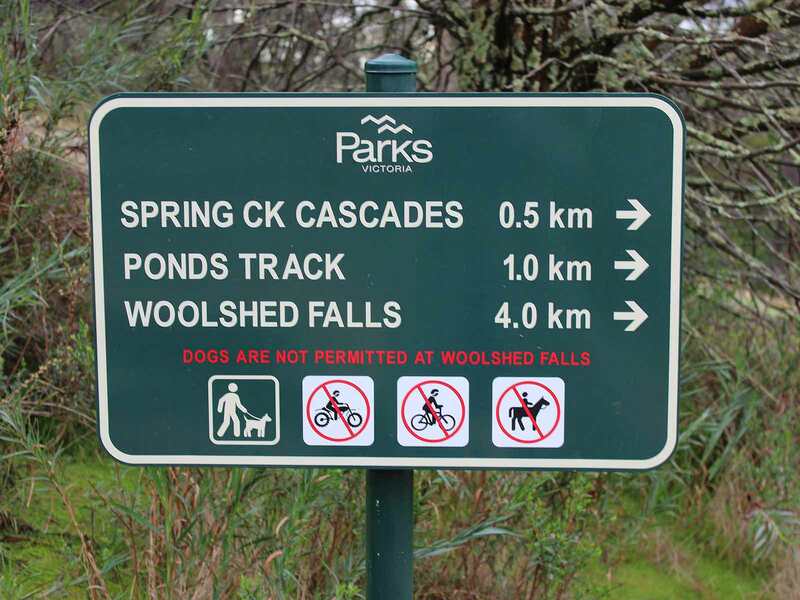 Park your car at the Powder Magazine to start this 5km walk down to the magnificent and historic Woolshed Falls. The Powder Magazine was built in 1859 and used to store large quantities of gun powder, which was used to blast open gold bearing alluvial and quartz deposits. Open to visitors, it’s worth a visit before you start your walk. 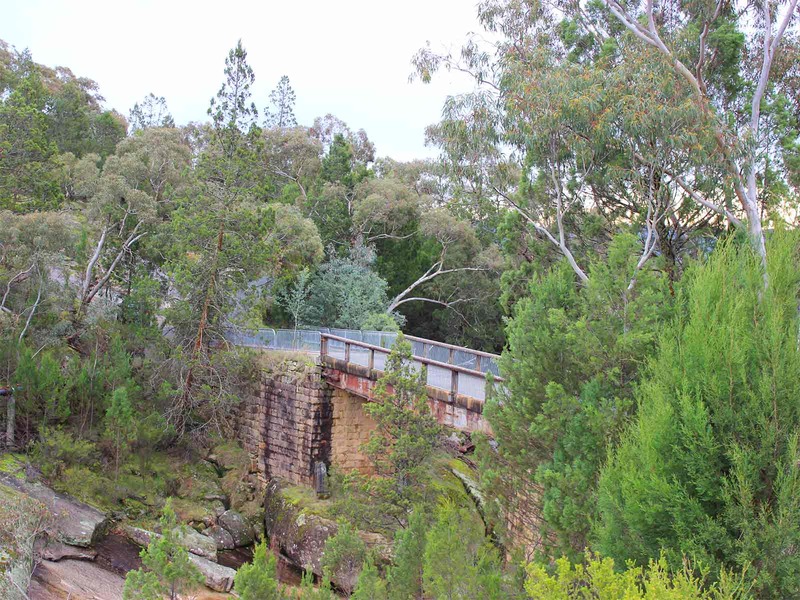 From the Powder Museum walk down the one-way Gorge Road, past the Spring Creek Bridge and you will see the Woolshed Falls Walking track on your right. The track follows Spring Creek down into the Woolshed Valley which was home home to thousands of miners during the height of the Gold Rush in the 1850’s. Being one of the richest goldfields in Victoria, the area has many deep mine shafts on either side of the track. Please keep to the track. 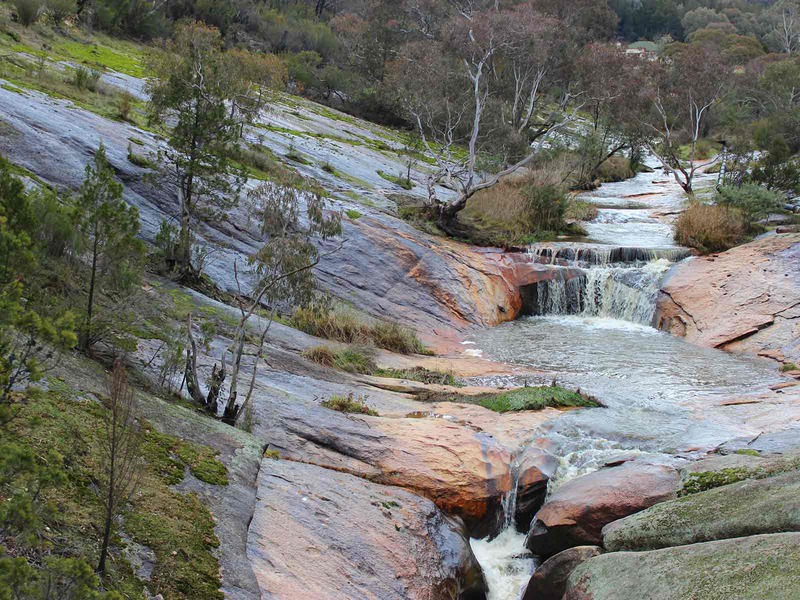 After an easy downhill walk you will follow the creek through the Reid’s Creek Goldfield site and then onto the Woolshed Falls passing the the deep gully created by sluice mining. You will enter Woolshed Falls through the car park area, which has toilets, tables and BBQ facilities. There is a short walk to the observation deck overlooking the falls and access to the top of the falls, with rock pools and beautiful weathered rocks. Please be very careful on the rocks as they are slippery and kids should not be left unsupervised in this area. Suitable, study footwear is advised. 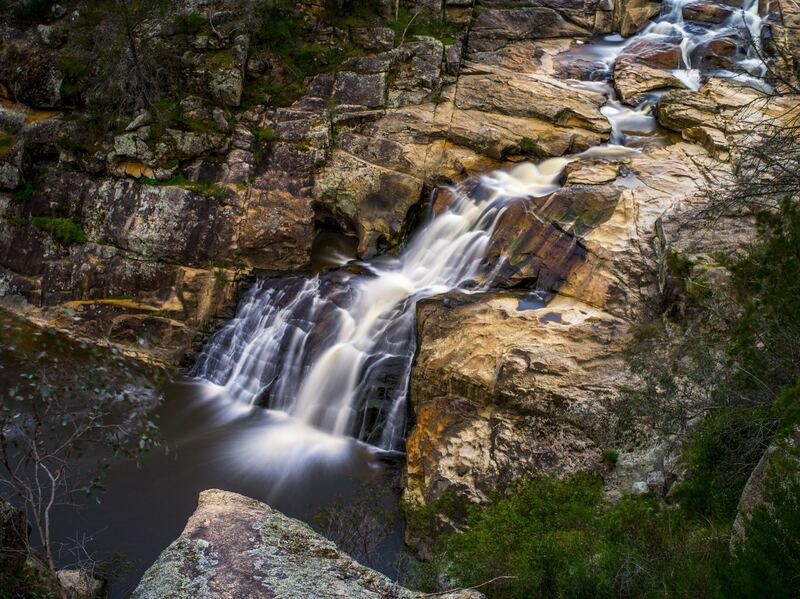 If you don’t feel like walking back to Beechworth, you might consider a car shuffle, leaving one car at Woolshed Falls for the short drive back into Beechworth. This is an interesting, easy but rocky downhill walk that is fun for kids and has the reward of a fabulous waterfall at the end. Caution: There are many mine shafts in the area and rocks are very slippery, please stay on tracks and supervise children carefully.